All you need is a mug of hot water to get a perfectly sweet and sour cup of green tea. Calming Tea is composed of lime, green tea powder and jaggery which makes it ideal for the 'not feeling well' days. One sachet is meant for 100ml of water, but I like using one pack in 200-250ml of water. It doesn't calm me down and in all honesty, nothing less than a anesthesia has the ability to do that. However, I enjoy drinking it frequently and it makes a sore throat feel better. 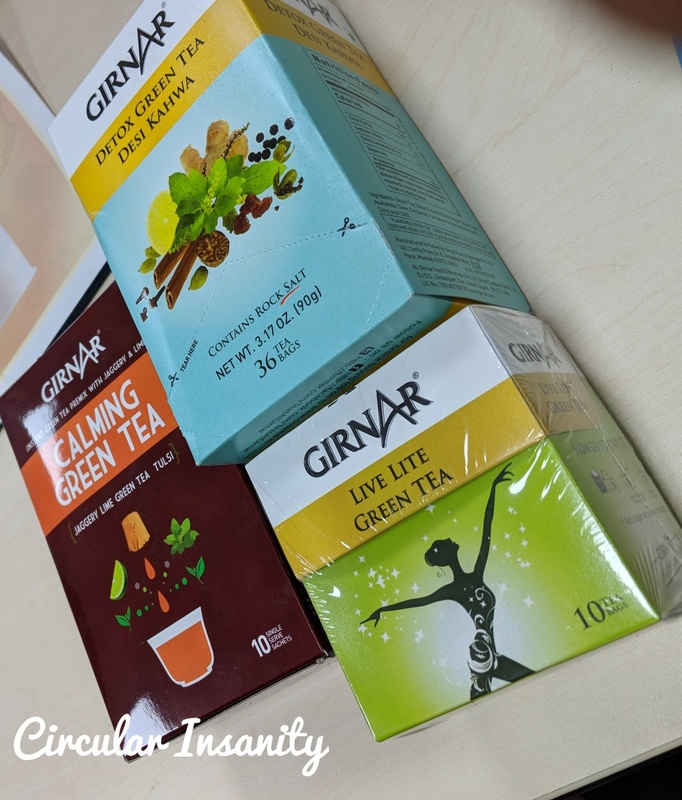 This is an interesting blend of green tea extracts with saffron, cardamom and almond flakes. It doesn't quite feel like a green tea because it takes the colour of saffron with pieces of almonds floating in your mug. Once again, one sachet is meant for 100ml of hot water and I end up dissolving it in 200-250 ml of water. It is a little too sweet without enough of green tea for my liking. However, I would definitely call it worth trying. Another thing, it is expensive in comparison due to the saffron and nuts. The beauty of this black tea mix is that it can be used with hot and cold water. So, why brand them separately? Because not everyone has figured this out yet. Well, the hot Lemon Tea mix is meant for 100ml of water and the Lemon Ice Tea mix sachet is twice the quantity of the hot tea mix and is meant for twice as much water, i.e. 200ml. They're great for workplace and aren't very sweet. This is a great buy for summer. I would recommend buying. Camomile is supposed to be great for stress and nervousness. I decided to try it because Girnar claimed it's good for headaches and I am one of those people who believe. So, I got me a box of Camomile with Honey infusion. Once you dip the bag into water, you cam smell the flowers and I was excepting the taste to blow me away. However, this didn't rock my world. The tea tastes like coconut and I find myself not reaching for this anymore. To be fair, all my people liked it a lot. Again, this is not a tea. When I ordered this, I was only concentrating on Rose and I expected something floral. On arrival, I noticed the hip in the Rosehip and I didn't really expect much. Then? I was blown away. I love love it. I have already started telling people that this is what I will start drinking whenever I am expecting. The infusion is beautiful ruby red with mild sourness of berries( that's what Rosehip is). I cannot taste the Hibiscus neither do I know what it tastes like. This was ordered because the description was really fancy on the website. The tea mostly tastes like ajwain. I can drink it with a spot of lemon, but I know I won't be buying it again. I have saved best for the last. This green tea has rock salt, citric acid, nutmeg, asafoetida, black pepper and ginger among other things. I am addicted to this tea and like a true propagator, I have gotten others addicted too. This green tea tastes sour on its own because of the citric acid, but I really like to add more lemon juice. The hot water turns muddy in appearance on adding the tea bag and I would suggest waiting for a minute to allow the flavours to infuse. Usually, I drink it after meals. I do believe that it works wonders when you have had too much to eat or when you have acidity. 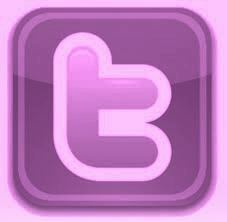 Final Verdict: You still don't get it? Let me spell it out. I am in love! In the past few months, we have consumed 7-8 boxes of Detox Kahwa, 5-6 boxes of Calming Tea, 4 boxes of Rosehip and Hibiscus Infusion and 2 boxes of Lemon Ice Tea(summer has only started). 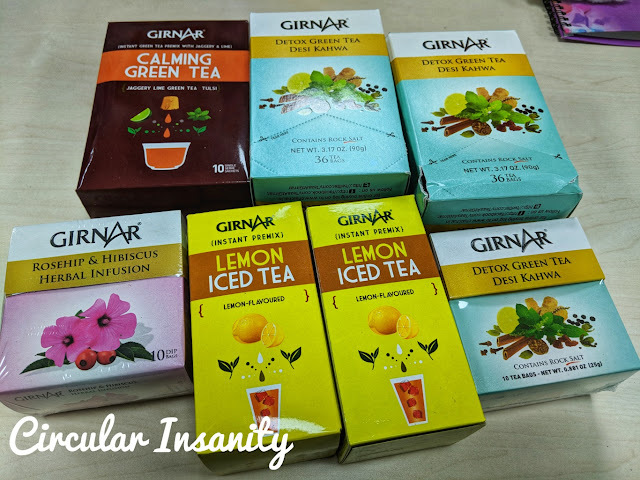 We are waiting for the rains to enjoy the Girnar Masala Tea Instant Mix and maybe some other variety on offer.